TESORO Announces White SharurSE Spectrum Ambidextrous Gaming Mouse featuring a customizable 16.8 RGB color lighting, 1000 Hz ultra polling rate and an ambidextrous design. This new gaming mouse from TESORO is built with eSports gaming in mind. It is suitable for FPS and RTS gaming fully equipped with features that aim to assist gamers in such game genres. The new White SharurSE Spectrum is equipped with a 4000 DPI optical sensor and has a 4-level pre-set resolutions. The 1000 Hz ultra polling rate promises the fastest latency between the mouse and your keyboard for a lag-free experience. The mouse has six programmable buttons which can be configured within the 64KB on-board memory. The SharurSE Spectrum also uses the durable Omron switches with lifespan of 10 million clicks. The TESORO SharurSE Spectrum gaming mouse offers a feature-packed, compact and lightweight design fit for both right-handed and left-handed gamers. 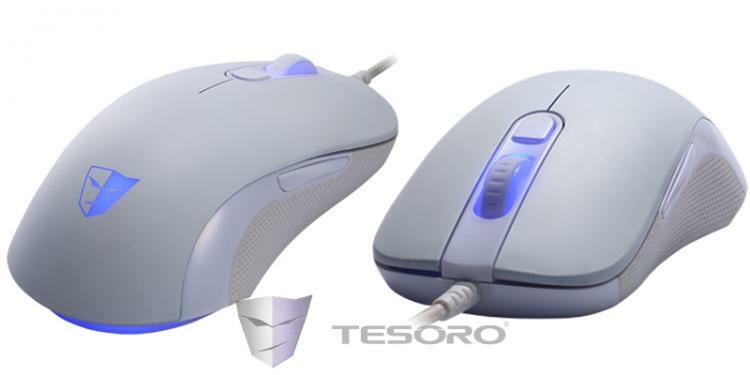 For more details, check out the TESORO SharurSE Spectrum gaming mouse at the TESORO website.